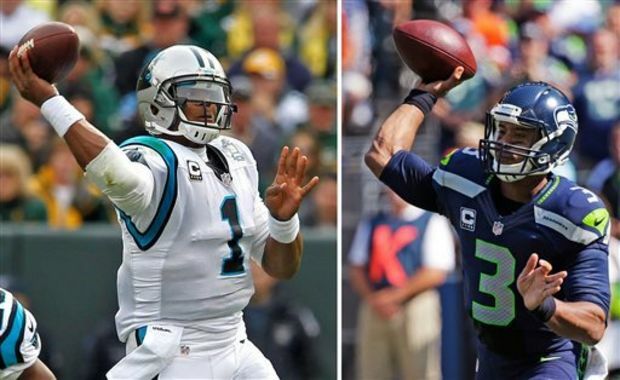 The Super Bowl was a matchup of the old guard and the new school of quarterbacks in the NFL. 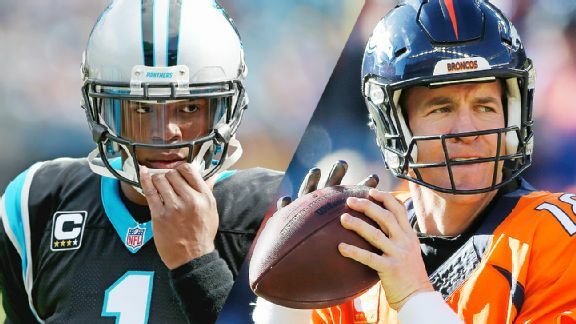 We had Cam Newton and the high-scoring Carolina Panthers in one corner and veteran Peyton Manning and the gritty Denver Broncos in the other corner. Both teams had fought through different things to make it to the big game. The Panthers lost their top wide receiver and many did not expect much of them to start the year. And for the Broncos, they had their share of quarterback issues and offensive issues as a whole. But there these two stood, battling for the Lombardi Trophy. In the end, the Broncos were able to prevail over the favored Panthers 24-10. And with that, Peyton Manning now has his second Lombardi Trophy to add to his illustrious career. The Panthers fought hard, but they just did not have enough to make it happen. And for the Broncos, their defense definitely won this game. The Broncos defense had a tall task: stopping the MVP, Cam Newton. He has been terrorizing defenses all year with his feet and his arm. But in this game, the terror was what he faced in the Denver defense. The Panthers offensive line was not very successful in protecting Newton and that led to him being sacked seven times in this game. The main guy who was after Newton all game was pass-rusher supreme Von Miller. The free-agent-to-be and MVP of the game was all over the field and on Cam’s heels all night long. He had a total of 2.5 sacks Sunday night. 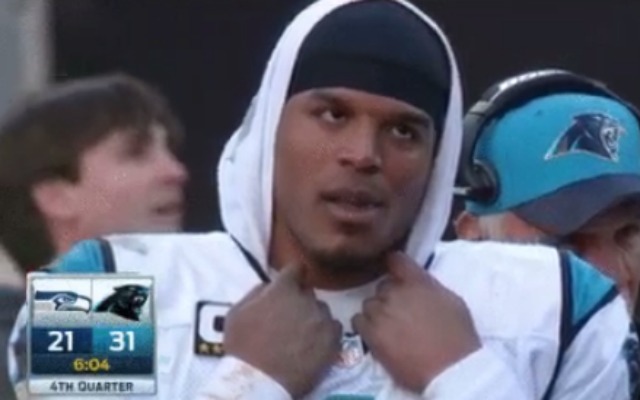 The pressure on Cam was the most he had seen all season long. And the hits that he took just kept coming all night long. That led to him not having much time to hit any of his wide receivers down field and having to throw away more passes than he had all season long. Because of the disrupting of the passing game by the Denver pressure packages, the Panthers looked disjointed in the passing game and Cam never seemed to get comfortable in the pocket. And when he scrambled, Cam had a few runs of note, but he had the clamps put on him for most of the night. Coming into this game, the Panthers were the team that was known for forcing turnovers. They had the best turnover ratio in the NFL coming into this game. But in the Super Bowl, the Broncos defense turned the tide. The Broncos forced three turnovers in this game. And the Panthers, they were only able to force three turnovers. Usually the turnovers the Panthers force end up in points. But in this game, they were not able to take those turnovers and convert them at all, as the Denver defense was stingy all night long. The Denver defense, however, forced two big turnovers that led to their two touchdowns. The first big turnover they forced came when the Von Miller sacked Cam Newton. Miller was able to strip Newton on the play and then the Broncos recovered the ball in the endzone for a touchdown. And the other huge turnover was when they were up 16-10 and Carolina had the ball, needing a touchdown and extra point to take the lead. 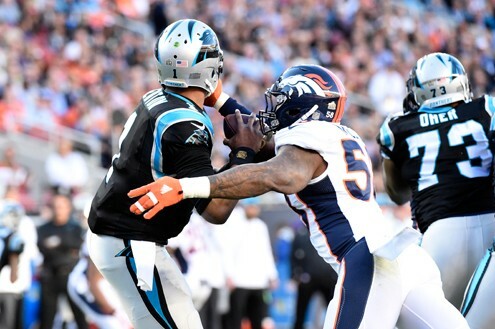 Von Miller again striped Cam Newton of the ball while rushing the passer. That turnover led to the game-clinching touchdown that would seal the game. Those 14 points the Broncos defense helped either score or setup were the difference in the game tonight and helped them hoist the Lombardi Trophy. Another huge key in this game was the running game. Coming in, the Carolina Panthers were the team that was used to having a consistent running game. With Cam Newton being able to run and Jonathan Stewart running the ball very solid coming into the game, it was thought the Broncos could be the team to have the issue running the football. But the Panthers were never really able to get their running game going. Newton ended up with 45 yards on six carries, but Jonathan Stewart was missing in action all night long. The veteran running back out of Oregon had one big run of 12 yards in this game. But other than that, he had only eleven carries for 17 yards and a touchdown. With the running game never getting started, the Panthers had to depend on the passing game. And if anyone has watched the Panthers play this year, they are not a team that typically depends on the passing game to get them going. 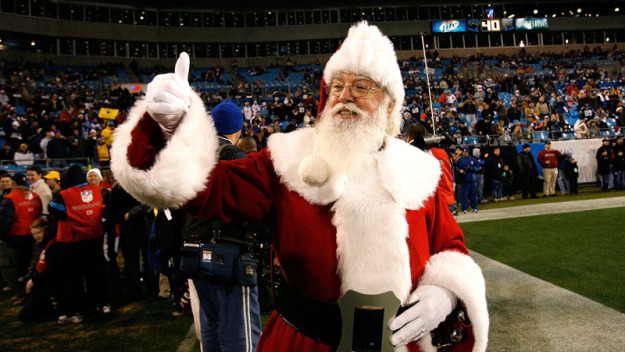 Besides their veteran tight end Greg Olsen, the Panthers had a pedestrian receiving corps. In this game, their dropped passes finally caught up to them. And add to that some errant passes from Cam and the passing game was stuck in neutral as well. Peyton Manning may be retiring after this game and riding off into the sunset as a two-time title and arguably the greatest of all-time. But the Denver Broncos did not win this championship because of his stellar play. They won this game on the strength of their defense. And from the beginning of the season to now, their defense carried the offense on their collective backs. It’s only fitting that the final game of the season was a defensive masterpiece. It all comes down to one game. Two teams, the Carolina Panthers and the Denver Broncos, have fought hard to make their way to the Super Bowl. One was expected to be a contender from the beginning of the season. The other was not expected to even win six games. But now both are in Santa Clara, California getting ready to try and win the biggest football game in their professional careers. One will achieve that goal while the other will take in the bitter feeling of defeat on the NFL’s biggest stage. Which one will be taking that loss and more in the final installment of the General’s NFL proclamations coming right now! The Panthers are very heavy run-oriented and the Broncos stop the run very well. One of these strengths are going to have to give. The feather in the cap Carolina has is Cam Newton running the football. And with that being said, the Panthers will have 125 yards total on the ground, with Cam acquiring at least two first downs and 50 yards rushing. And just for good measure, let’s add in a touchdown for him as well. The Broncos have to get their running game going. And in doing so, they will be trying to run against a stingy defense as well. But unfortunately, the Broncos have not been as successful as the Panthers’ offensive line. In this one, look for the running game of the Broncos to not gain over 80 yards rushing. Cornerbacks Josh Norman and Aqib Talib have played very well for the Carolina Panthers and Denver Broncos respectively. Talib will have his own issues to deal with, but Norman has two really good receivers he will get some time against in Demaryius Thomas and Emmanuel Sanders. He will not be able to guard both, but he can affect both of them. Look for him to hold whoever he checks defensively to 4 receptions for 70 yards at the least. The Denver pass rushing duo of Von Miller and Demarcus Ware can cause havoc on opposing offenses. And every game they have played in together, they both have had an impact on the game. Well in this one, they will have their chances. Of course it will be hard for them to get Cam down. But they will get there at least once to get Newton. Peyton Manning versus Cam Newton has been the story for most of the week leading up to the Super Bowl. Many have wondered which one will have the better game. Well, both will have an interesting one in this game. Both will have at least one turnover and there will be one play made by one quarterback that will be the difference in the game. 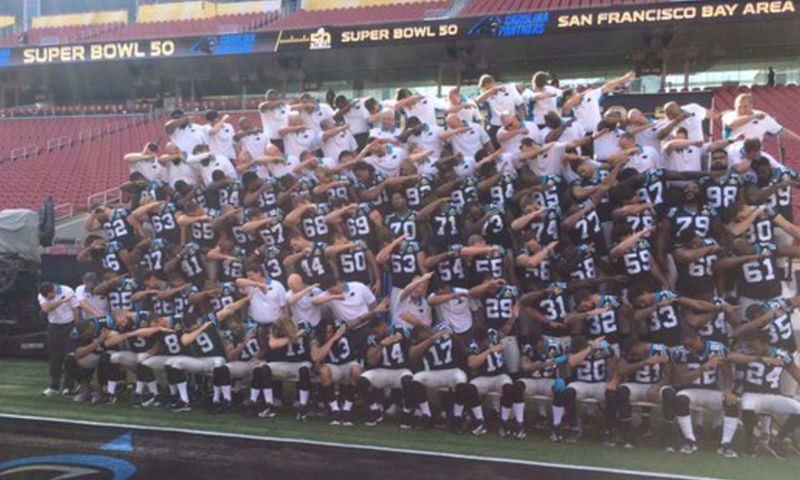 The Carolina Panthers are Dabbin’ all the way back to Charlotte with the Lombardi Trophy. The Carolina Panthers have been a revelation this year. When the season began for the Panthers, there was trepidation with how they would do. Carolina lost their best wide receiver, Kelvin Benjamin, to a torn ACL before the season started. But the Panthers passing attack overcame that and ended up being one of the best offenses in the NFL, thanks to soon-to-be NFL MVP Cam Newton. And combined with that stingy defense, the Panthers steamrolled through the regular and the postseason. Now the next challenge awaits them as they take on the Denver Broncos. And while some may think it could be an ugly game for Denver, the Panthers should expect a battle from the veteran Broncos team. Here are five factors that could swing the game in their favor versus Denver. The Panthers have been steady in putting pressure on quarterbacks all year long. And the Denver Broncos have not exactly been the best at protecting their quarterback. The Broncos have gotten better over the year, but they are still the same offensive line that had issues to start the year. If Carolina is able to take advantage of that, then they will have Peyton Manning dancing in the pocket more than he would like to. One guy to watch out for up front is defensive tackle Kawaan Short. He seems to be the barometer of their front four and can be a huge force on the game. 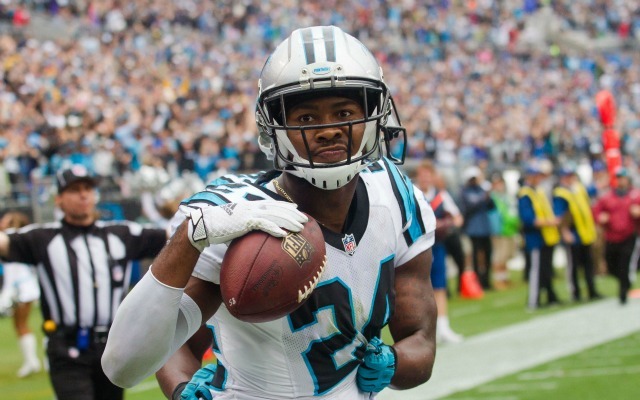 The Carolina Panthers have had cornerback Josh Norman step up all season long. And going into his free agency this offseason, he will be targeted by many teams because of his stellar job. But other than him, who do the Panthers have? The other cornerbacks have done well, but with Charles Tillman out, Cortland Finnegan and Robert McClain have to step up and play well. Based on the Panthers defense, Norman will not be on Broncos’ wide receiver Demaryius Thomas all the time. And with Emmanuel Sanders at the other wide receiver slot for Denver, the Panthers will need someone else to step up and defend him sometimes too. Finnegan and McClain will be key to how the Panthers defend the Broncos’ passing game. The Carolina Panthers are a physical team whose mantra is “Keep Pounding”. In this game, they must do so offensively. The Panthers are a run-oriented team with a passing game that works off of it. As far as the Broncos, they are a physical team that limits teams in the running game. The Panthers have to win that battle in the running game versus Denver’s defense. When they run the football with Cam Newton, Jonathan Stewart or Mike Tolbert, it sets up everything that they do. And if they don’t have the running game, then it causes the Panthers to struggle a bit. The Panthers offensive line has to be nasty in this one from start to finish. Cam Newton has been the MVP of the NFL this season. And in this game, the Denver Broncos will try to do all they can to limit him. But it’s real hard to limit a guy that is 6’6” and 250-260 pounds with a cannon for an arm. Cam has to make those special plays that make a player like him unique. The pressure will be after him all game long, so he has to turn those potential sacks into positive plays. And if he is able to do that and neutralize the Broncos’ pass rush, then the Panthers will be a better position to win the game. The Panthers receivers have been playing well this season. For example, Ted Ginn Jr has had a career year for Carolina. But there have been some times where Ginn Jr has disappeared and dropped sure touchdown passes. And for him and the rest of the Panthers receiving corps, they will have their opportunities to make some things happen. Denver’s defensive secondary is very good but they do allow some plays to happen. The question is will they make the plays when they present themselves like they have all season or not? The big stage can have a great effect on players and it can also have a damaging effect. If they show up and take advantage of their opportunities, they could be in great position to win. The Panthers are in a spot where they can make history. Carolina can win their first title in team history if they are to defeat the Broncos. It will not be easy. The Broncos will give them everything they have. But if Carolina can make these five things happen, then they could potentially be Dabbin all the way to Charlotte after this one. And then there were two in the NFC. The two best teams all year in the conference, the Arizona Cardinals and the Carolina Panthers, passed their first test in the Divisional Rounds, beating the Green Bay Packers and Seattle Seahawks respectively. And on Sunday night, both teams were trying to get back to the Super Bowl. The Cardinals last went back in the 2008 season, when they lost to Ben Roethlisberger and the Pittsburgh Steelers 27-23 in Tampa, Florida. The Panthers drought has been a little longer, last visiting the Super Bowl in the 2003 season, when they lost to the New England Patriots 32-29. Both teams came out with much to prove in this game. The Cardinals wanted to prove that last week was just an aberration. 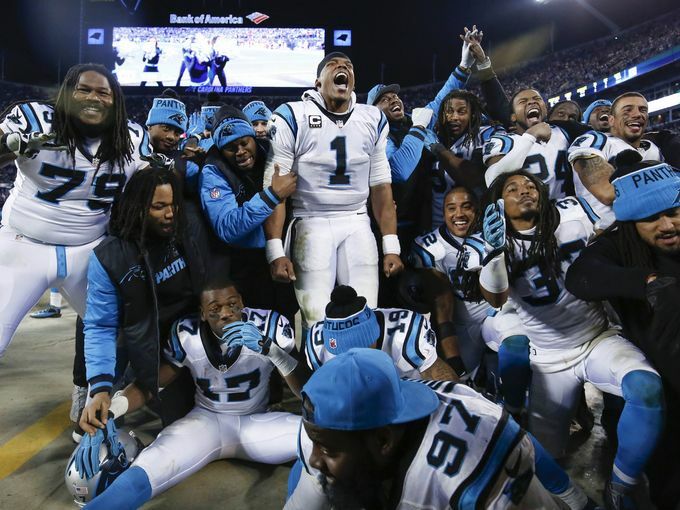 And for the Panthers, they wanted to prove that they were worthy of being the NFC champions. From the jump, the Panthers let the Cardinals know they meant business. Carolina jumped out to a 24-7 halftime lead, jumping all over the Cardinals. And in the second half, they would continue to jump all over the Cardinals, punching their Super Bowl ticket with a dominating 49-15 win. With that, the Panthers are on to match up against the Denver Broncos. Offensively, the Panthers were clicking and that all started with the play of their offensive line. Going into the season, the Panthers were a team that was looked at as having a line that was not good enough. But as the season as grown, they have gotten better and better. And now they are the backbone of one of the best offenses in the NFL. In today’s game, they allowed Panthers quarterback Cam Newton to step up in the pocket and complete passes to the tune of 19/28 for 335 yards and two touchdowns. But the offensive line was not only effective in the passing game. They were able to open holes for Newton and running back Jonathan Stewart. Both averaged over four yards per carry in this one. And the offensive line was able to get Cam in the endzone twice on the ground, with the biggest one being a Newton 12 yard run for a touchdown. That run put the Panthers up 34-7 and gave them an insurmountable lead against Arizona. Even though Cam Newton will more than likely be the MVP of the NFL, his offensive line was the MVP of this game. The Panthers have been a nasty defense all year long. Much has been made of their pieces in the back seven, particularly defensive back Josh Norman and linebackers Thomas Davis and Luke Kuechly. But the key players in this game had to be the Panthers defensive line. They harassed the Palmer all game long and were relentless. And as a byproduct of their pressure, they forced Arizona quarterback Carson Palmer into four interceptions, with one going back for a touchdown. It seemed that Palmer could never get comfortable in the pocket all game long. Some of that was on Carson because he just was out of sorts. But most of that had to be credited to the Panthers front seven. And along with the pressure they were bringing, they were also steady in the running game. They allowed David Johnson to get 60 yards on 15 carries, but they did not allow him to get in a rhythm for much of the game. And by making some stops on first down, Arizona fell behind the sticks and that put additional pressure on the Cardinals offense. 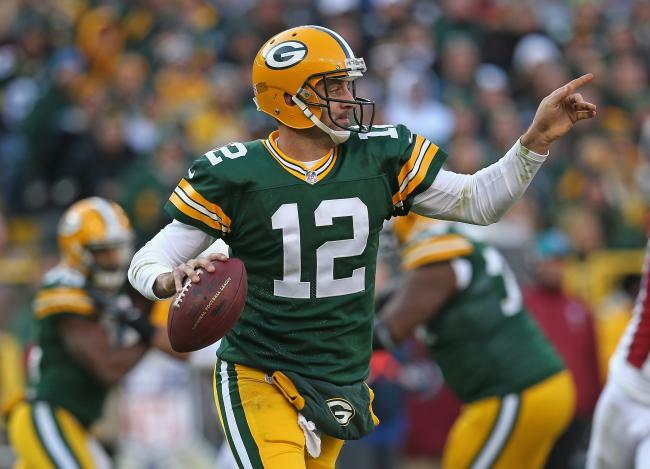 Last week, the Packers were not able to catch Larry Fitzgerald, as he torched them in overtime for the win. But the Panthers were on him all game long, only giving up four receptions for 30 yards. Larry was a non-factor along with his fellow wide receiver Michael Floyd. Their offense was rendered helpless by a defense that was flying all over the field. The Panthers did what many felt they could not do. 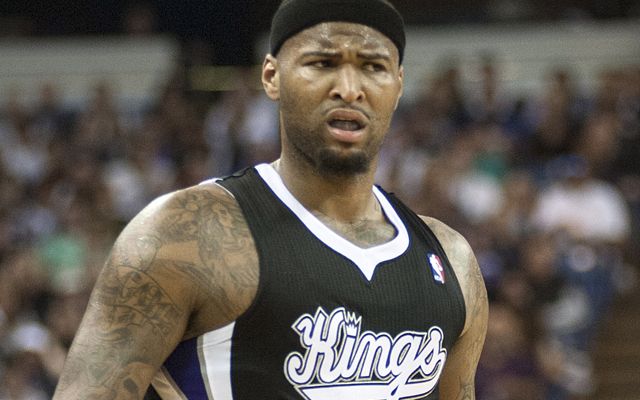 At the beginning of the season, many wondered if they would even win five or six games. They had lost their best wide receiver before the season started and many felt Cam did not have enough to win ballgames offensively. But little did we know that the combination of the skill people they had along with Cam’s excellent performance this year would carry them to being one of the best offenses in the NFL. Couple their offense with their stingy defense and the Panthers had a well-oiled machine. And as the season went on, they got better and better despite those that thought they would falter. Fast forward to now and the Panthers are now on their way to the Super Bowl. And with a win, they would have made some unexpected history for their organization. We will see what happens under the bright lights in Santa Clara, California on February 7th.